Medium (18-24 Months) - $24.99 Only 4 left! When people think of cute animals, there are lots of options: kitties, puppies, ducks, lambs, pandas… Those are all cute, sure, but that means anyone can pull off looking cute while dressed like them. It’s a given. It’s obvious. It’s… too easy. Meanwhile, there are some animals that most people don’t really equate with cuteness. Pigs stand squarely in that category. While pretty much everyone appreciates the amazing bacon they can provide us, we don’t know of anyone who spends their life memorializing the innate physical beauty of pigs. But maybe it’s time to reconsider how cute pigs can be. Maybe it’s time to take a risk and explore the untapped cuteness that pigs can offer. 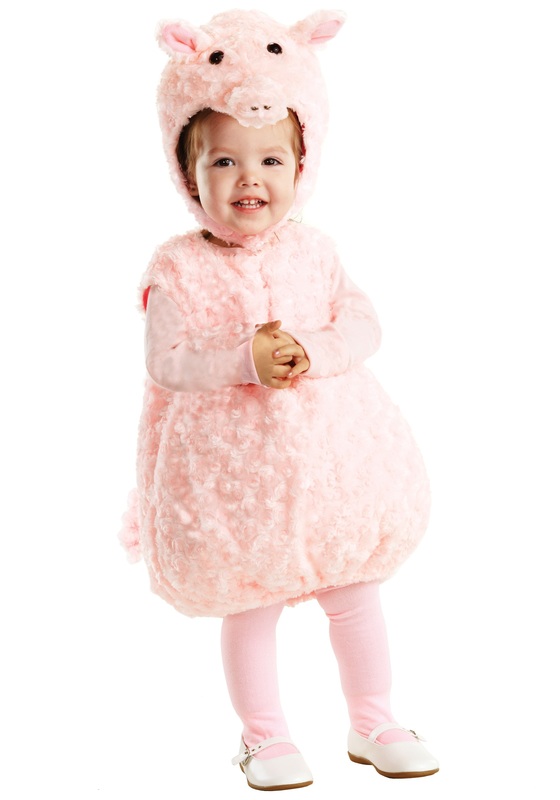 We promise your toddler will look absolutely adorable in this Toddler Pink Piglet Costume. The fuzzy pink tunic has a cute little pink tail and also a Velcro fastener in the back for easy access. Add in the matching pig headpiece, complete with ears and a pert snout, and the cuteness is ratcheted up to nearly unbearable levels. No matter where you take your little piggy, as long as they’re wearing the Toddler Pink Piglet Costume, they’re sure to make anyone who sees them squeal with delight. My little one is very happy with it! I'm pleased with the quality also! My niece loved it!! she was very happy wearing it.